One criticism that is frequently levelled against GM crops and biotechnology, in general, is that there are no benefits available for consumers, which has resulted in some consumers choosing to reject this innovative and environmentally sustainable technology. This blanket ‘no benefit’ statement has no verification. 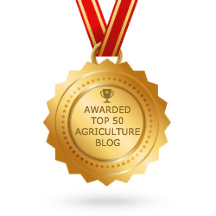 So when and how much do consumers benefit from the production of GM crops? In the coexistence book that I co-edited, a chapter titled, “The Cost of a GMO-Free Market Basket of Food in the US,” from North Carolina State University’s Barry Goodwin, Michele Marra and Nicholas Piggott, explores this question in detail. These academics have identified that agricultural innovations such as genetically modified organisms (GMOs) have increased the quality and variety of food products while lowering food prices. 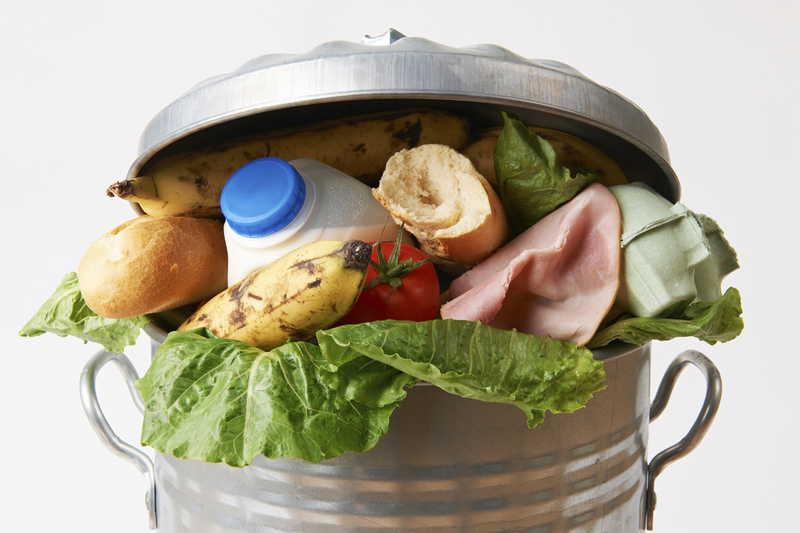 In 1930, American households spent 21% of their disposable income on food, while in 2012, this figure fell to 6.7%. A contributing factor of this has been the introduction of GM crops that have increased production while reducing costs and improved quality. Comparable figures for countries that have rejected GM crops, such as Germany and France show that households spend 10% and 13% of their household budgets on food, respectively. While the previous does not confirm the GM benefits, it curiously leads to the question of what the cost for a family to adopt an entirely GM-free diet might be? To observe the price difference between consumer preferences for non-GM or GM-free food products, Goodwin, Marra and Piggott gathered data from the Bureau of Labor Statistics. They used the market basket weights to calculate the consumer price index (CPI) and the composition of the average household’s annual food expenses. The CPI is calculated based on surveys of 7,000 American households and covers over 200 items. Products and prices of verified GM-free and comparable GM-containing products were used and their analysis revealed that GM-free certification raised the price of food products by an average of 34%. 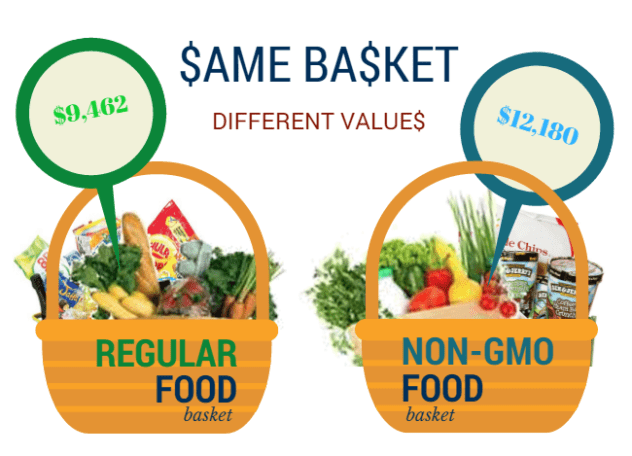 Based on a 34% price differential, the average household would spend an additional $2800 purchasing a GM-free bundle of food products, equal to a food price increase of $233 per month. The research undertaken by Goodwin, Marra and Piggott, shows how consuming GM-free products is an option for those with larger incomes. It would be hard for the working poor and middle-income households to justify spending $2800 more a year to buy the equivalent GM-free food items. It seems that consumer demands to avoid eating GM food products are truly a first world country problem. While millions of food insecure consumers in developing countries are simply just hoping to be able to purchase enough food on a daily basis to meet their nutritional demands, GM or not. Would you like vanilla with that? If you haven’t noticed vanilla is everywhere & in everything. 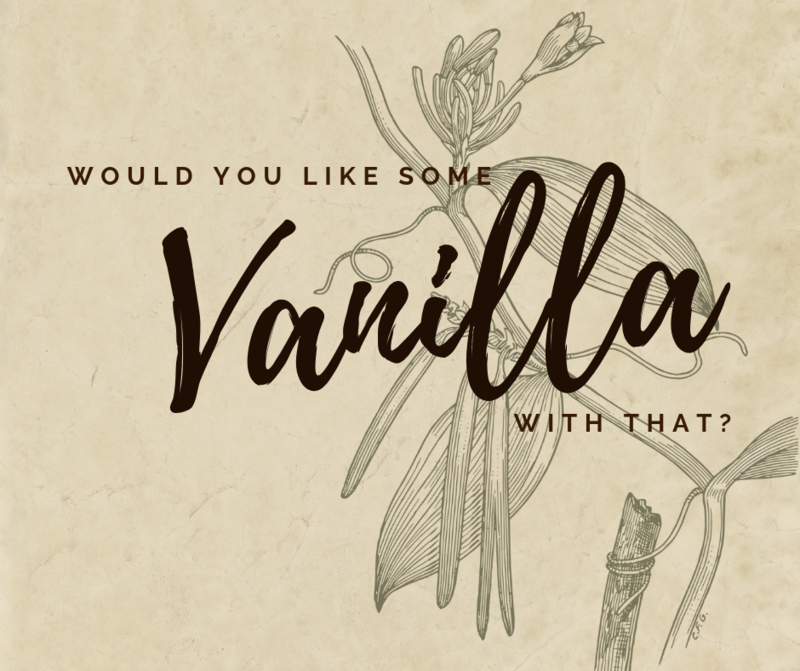 Since the 19th century, vanilla transitioned from a rare and exotic flavour profile to a staple of modern food and fragrances. With our growing demand and limited production, the future of vanilla from vanilla is becoming more and more questionable. In the future, will we be able to continue our gluttonous use of vanilla?